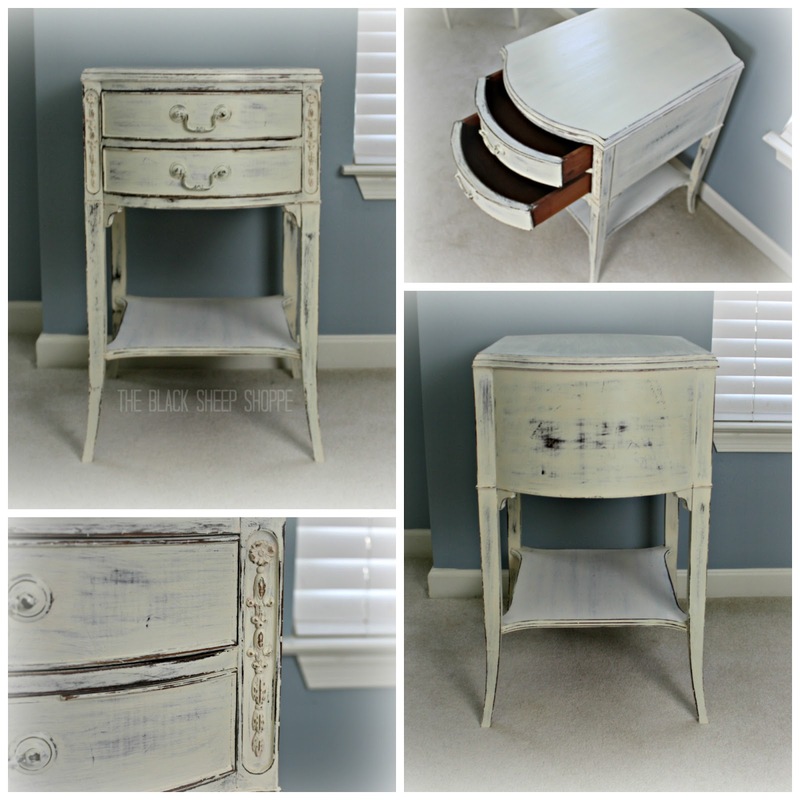 Today I'm sharing the finished pair of nightstands that I posted a preview of a few weeks ago. 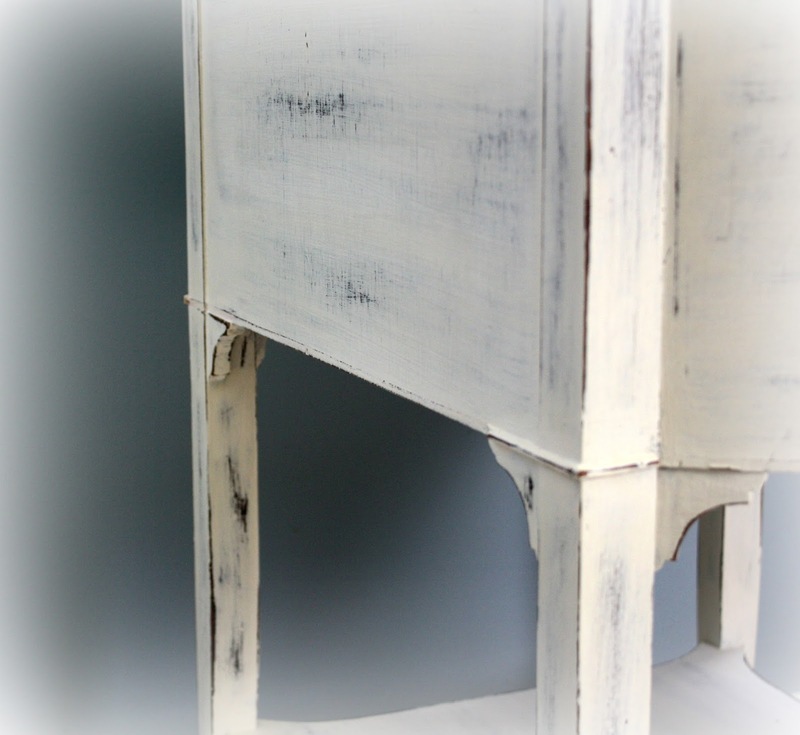 The nightstands were not initially a set, but both have a similar scale, so I applied a similar finish to coordinate them as a pair of shabby chic nightstands. 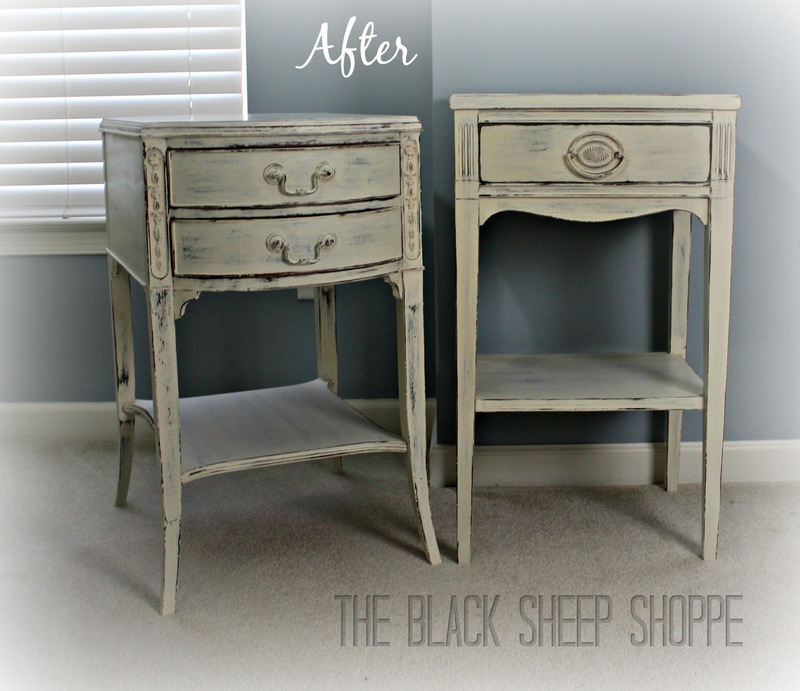 After a good cleaning I applied two coats of Old White to both nightstands. 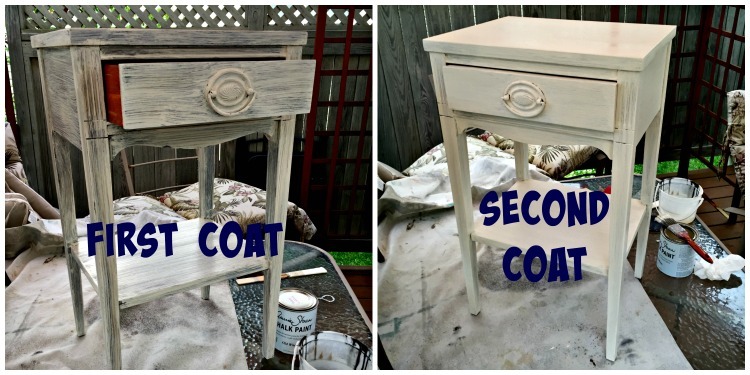 The first coat usually looks not-so-good, but don't give up! The second coat is the winner. 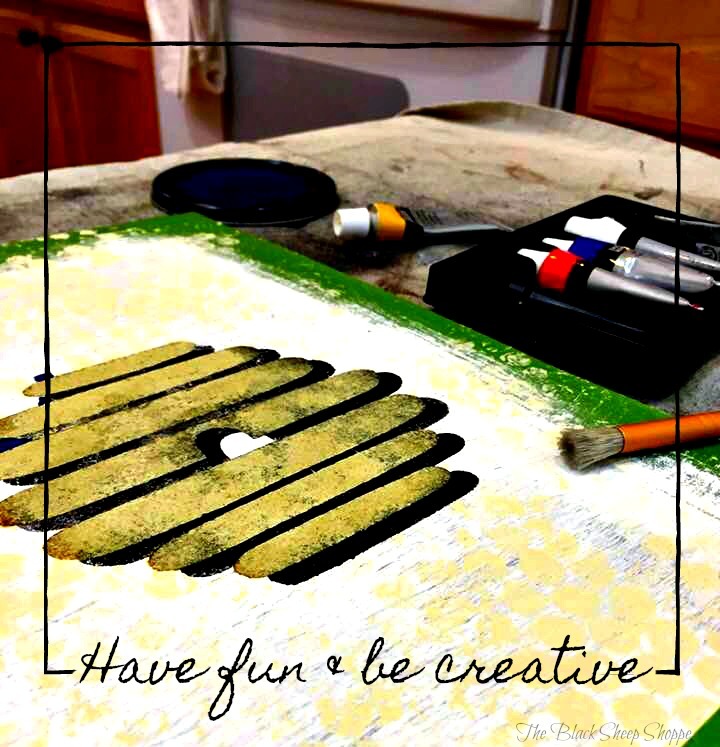 Sometimes a third coat is required depending on the paint color and the look you are going for. 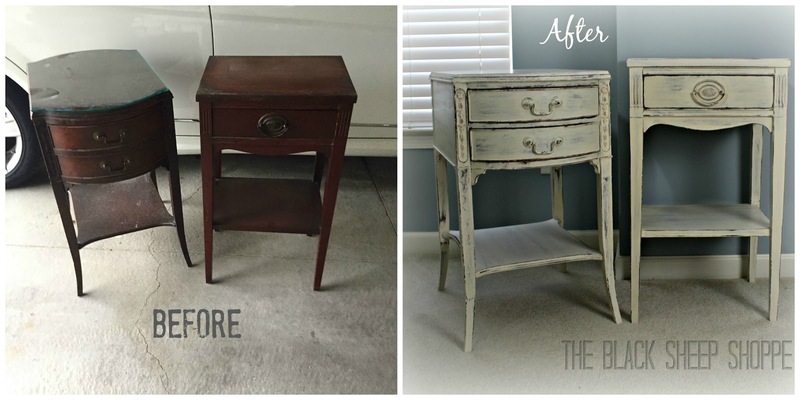 The original finish of the nightstands was in poor condition and also had some missing/broken trim. 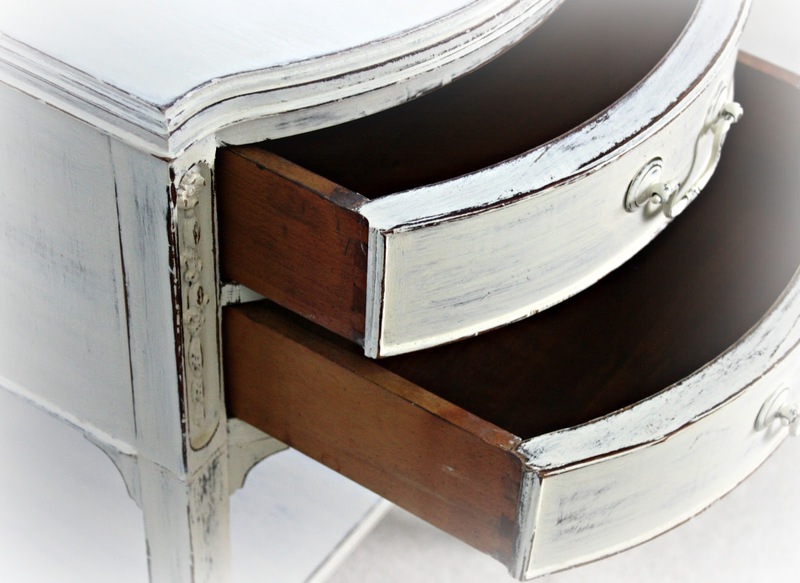 So I decided to work the damaged finish into my design by giving the pair a shabby chic finish with heavy distressing. I sealed the nightstands with soft clear wax. It's the perfect size for an alarm clock and a book (16" wide x 13" deep x 27" high). The single drawer provides hidden storage to help keep the room neat and tidy. 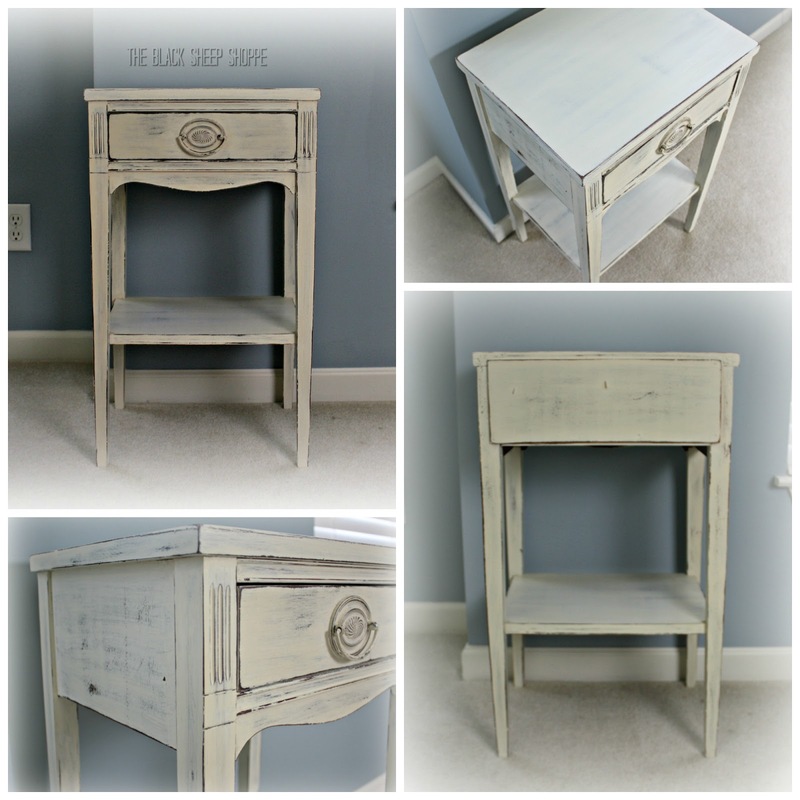 Shabby chic Duncan Phyfe style nightstand with two drawers and bail pulls. The Duncan Phyfe nightstand features curvy elegant lines which is a beautiful contrast to the Federal style nightstand. 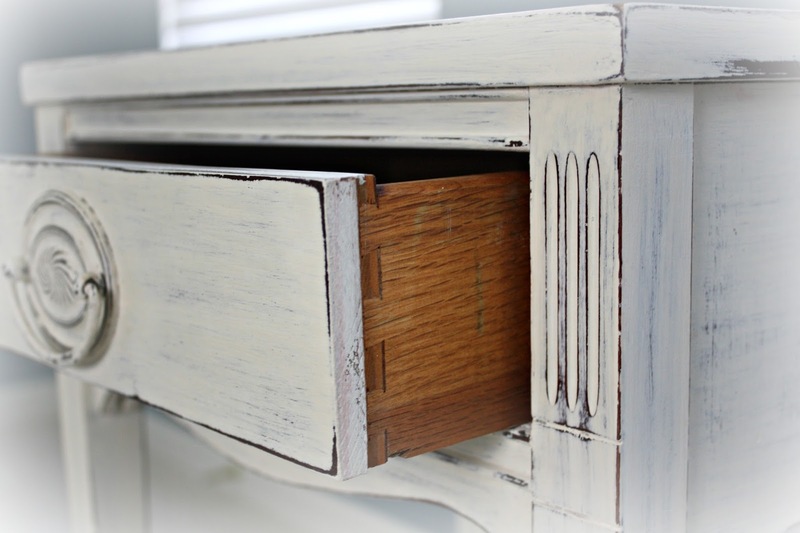 It has bowed drawer fronts and also features dovetail joinery. This nightstand is about twice as deep as the other which gives plenty of space for storing items. I mentioned earlier the broken trim pieces. The side view below is a close up of the broken trim along the edge, but the paint and distressing somewhat camouflage and minimize the damage. Finally here is one last look of the before and after. I've been fortunate that my booth sales have provided a good turnover of inventory. However, that has limited my inventory for my Etsy shop, and I would like to gain more experience in online furniture sales. So I've decided to hold a few pieces back from the booth, such as these nightstands, and list them exclusively on Etsy. Thanks so much for stopping by my blog. 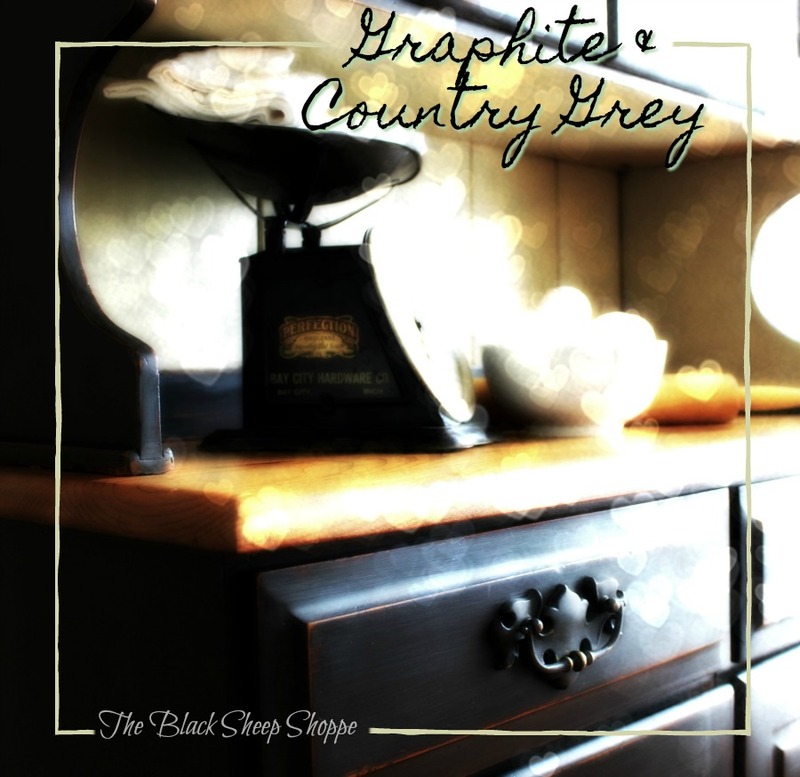 I hope today's post gave you some inspiration for a project! 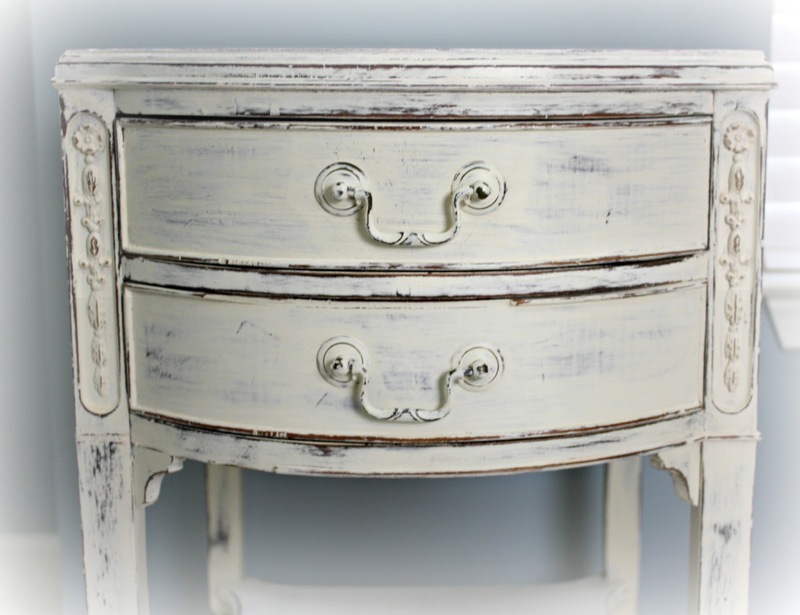 Chalk Paint by Annie Sloan Old White paint and Soft Clear Wax. Click on the link to find where you can by her products from local stockists. Some stockists also ship via online orders.